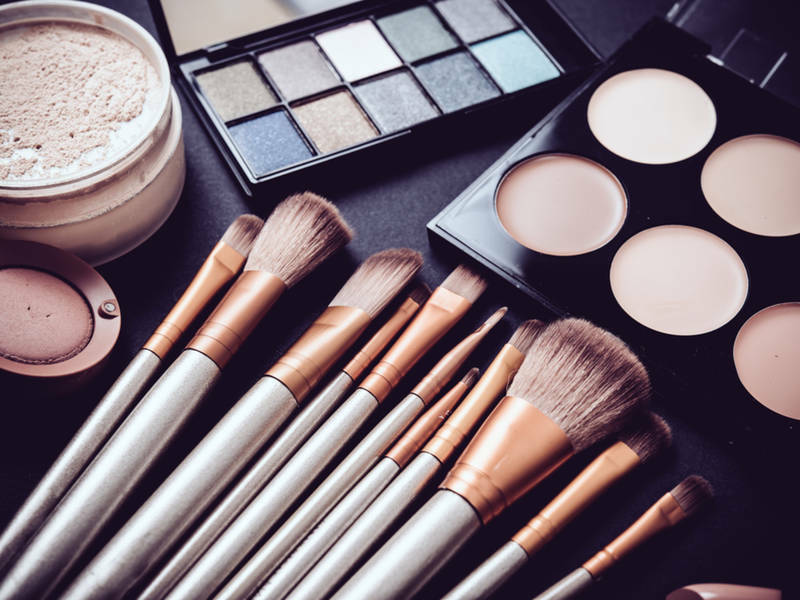 All of us knows that makeup products are all made from harmful chemicals that harm your skin, so what can we do to make sure we still look good, confident and at the same time not causes any harm to our body? well, I invented makeup using technology, it’s really simple and easy to use! most importantly, it saves time and does not harm your skin at all. This invention is not only important to me but to everyone that uses makeup, now that I’m done with the research, the main findings of the project I made were that this might actually work in real life, with the advanced technology nowadays this might be possible to invent. Some challenges that I faced during the process of doing this project was time management, I could have spread it into small chunks and do a little day by day rather than doing a big chuck once in a while. For my final product, I decided to make an infographic putting different factors on the benefits and harms about makeup, then lastly stated the solution on how to stop makeup from harming the consumers which is what my invention does. After doing different research about the different parts of a projector, I now have some clues about how it works and the different parts of the projector which is a big part of my project. The challenges that I am currently facing is that I am basically working on so many big projects in different classes at once, and as you know that it is almost the end of another semester so everything will crumble with together, I am struggling to manage my time well enough to do everything as much as possible, and I also believe that not only me but a lot of other people are having the same problem as me at the moment. However, if we do set the working time at a specific time then maybe it will help out with the time management, I know that it is going to be a very hard week for everyone but it will soon be over and summer is coming so so soon! According to the timeline I made below, I am on track for this project at the moment! Which means that I am close to finishing my research question and starting on my infographic as soon as I am done with planning out everything for it, and yes! I am doing an infographic to show how my invention works and how it will help a lot of people. Also, I found my sub-questions very useful for my main research question. May 11 More research and also think about what kind of presentation I’m going to make ex. Infographics, videos, posters. To be pretty without any damage from makeup?? Nowadays, mostly all teenagers, women, and some man all around the world use makeup on their daily basis, to boost up their self-esteem and confidence and it also helps create favorable first impressions. However, what is important the most is beside your health? But most of the makeup products now are all made of harmful chemicals that will somewhat damage your skin, making the possibility of affecting your health at the same time, so what can we do to make sure we still look good, confident and at the same time not causes any harm to our body? Well, wait no more! Because I have an idea! And as technology is so advanced in this society why not create an invention that computerized your makeup? You would still look good in your everyday look and not do anything harmful to your skin. Getting an idea of what you might be interested in researching, how you will do it, and what you need to do. Write in your process journal. Learn about the Physics involved (experimentation, discussion with Mr B/Classmates/Mr Galvez, research etc). It is currently 11pm at the moment and guess what? I saved Italy!! even though this was a last-minute save but well, I guess I could do a better job on this if I have stayed on schedule and not panic last minute, but overall, I think I did okay on making the information clear on what I am talking about, relating it back to Italy, which is my topic. Hopefully, my information does make sense because I spend a lot of time on it, and also for the design, it took me one whole day to make it. I have learned to not do anything last minute even though I have a lot of others to do, still try and do it a little bit day by day. Human is the main causes of the intense global warming over the past fifty years, we have been producing greenhouse gases which are releasing heat gasses as we power our modern lives. In comparison to the past 650,000 years, this is considered a major change. Studies confirm that some of these increases are related to human activities. It’s is almost halfway through the way when my project is due, which is on December 12th, I currently have some ideas on how I’m going to present and what I’m going to include on the project and will be starting on my project today, because the earlier you start on your project the more time you get to do it and also ask questions. I have learned about how the Earth is getting warmer over the 50 years, which this is why it is causing global warming, and if the climate change keeps on going like this then there will be a lot of impacts, such as, floods, droughts, rainfalls, hurricanes, heat waves etc, climate change will give the potential for stronger rainfall events. What this means for the risk of flooding, also another fact that I learned is that because Italy is on the coastline, which means that it is more dangerous. Work on Project Dec 5 Using your sketch, outline, etc. start making your project. Work on Project Dec 6 Using your sketch, outline, etc. start making your project. Work on Project Dec 7 Using your sketch, outline, etc. start making your project. Work on Project Dec 8 Using your sketch, outline, etc. start making your project. Work on Project Dec 9 Using your sketch, outline, etc. start making your project. For this unit in physics, we are researching about how climate change can affect the things in our surroundings, I chose Italy because it’s one of my favorite counties and it would be interesting for me to see that how climate change would affect this country. My topic for this unit will be to what extent will climate change affect Italy’s landscape. First of all, I will be researching on what really is causing climate change? and since climate change will increase sea level rise, how will sea level rise affect Italy? I started with a broad question, then slowly goes into my main question by narrowing it down and be more specific about the topic. For my final project, I’m planning to do an infographic on canva because it is an interesting way to give the information to the audience by putting graphs, pictures, and a bit of text, so the audience will not easily get bored of it. Since this project is due soon, I will start working on it a little bit every day so I would not cram last minute. In this project on Human rights, we focused on improving/learning the world’s healthcare . This is an important skill because we help people learn how to wash their hands and how to eat healthy to get lower risk of sickness. One thing I improved while working on this project is my ability to cooperate more and teamwork with my classmate. This blog post provides a reflection on my work, as well as a sample of what I accomplished. We can put more poster of how to take care of your body to help everyone know how to be healthy and clean. These would help everyone of us get lower risk of sickness, especially, for the people in poverty. Our group collaeboraborate by teaching and helping each other to do what we need to do, we plan with each others what we should do and I think it is because we all follow the rules. This is called teamwork. we made posters about how to take care of your body, how to clean your hands, our users will know how, and do it. I have never done poetry before, I have known nothing but I only knows that it is a short writing. After we have done all of this I have learnt that poetry contains repetition, white space, line breaks, rhymes, rhythms and many more, I found out that it is a very interesting way to write a story. The biggest challenge I have with poetry unit is when we are making the poem, it is hard because we need to think about what topic should we write and what should we write to make it interesting for the reader, and I have trouble making it into figurative language. That are the things I think it is the hardest thing for me. The poem that I like the most is the poem that says about poverty and rich families, how they are different, how rich people have everything but they still think they have nothing.. they are not greedy, it’s because they don’t even know how much people on this world are in poverty. For my experience of writing poetry is to brainstorm all the ideas you have first and than first to write your poem down, because if you do that, when you are writing a poem you won’t have to think too much, you will have all the ideas if you brainstorm and you will write the poem faster. I enjoy it when I finish it and when I got a good grade xD but what I don’t enjoy is when I have to think about the topic that I should write and what I should write in my poem. What are the most difficult or satisfying parts of your work? Why? Congenital heart disease is a disease that you can only cure it with surgery so we could not help much, I think that is the hard part, so we spent a lot of time asking and making decisions about how to help them to get less disease risk. But the good thing now is that we got the idea of making a poster to teach them how to wash their hands and eating healthy. Did anything surprise you? If so, what? Before this project, I don’t think diseases and sickness are that significant and affects the world so much, and how hard is that cure the sickness, but we could help them by prevent sickness to lower the health risk. In this project we are helping “Heartbeat Vietnam” which is a group of people that helps the poor families and children that has heart disease that needs to be treated with surgery, we are helping them with their surgery but we are helping them form getting any sickness. I have never care about this before, until now, I just notice that how much people on the world needs help but has no opportunity, the number I heard that the number of cases born in Vietnam every year are about 16,000, and it’s increasing year by year. That is a huge number of people, and I was really surprise, and that affects me to help the them. During these two semester in yearbook there are lots of highs and lows, the lows in class are sitting in front of the computer too long it makes my eyes and back hurt, and even sometimes when we have to do cutouts I am always so bad about that… xD and there are highs in yearbook because it is a pretty chill class that you can listen to music and do your spread. Secondly, freedom, another thing that I like about yearbook class because we could go take pictures and sometimes we need photos for the spread so we could go out and take it, and because taking photos are one of my hobby I like it. we are almost at the end of the school year and all the spread are kinda all done at this point, we probably are going to print all the spread down next week and we are very excited to see the spreads that we made and share it to everyone to see and we are also excited about the filed trip next week to the printing factory too . Matthew on WE SAVED ITALY!! Divina on WE SAVED ITALY!! Jihwan on WE SAVED ITALY! !